In the high stakes world of the New York Stock Exchange two cousins try to get the ultimate advantage in which literally billions are at stake and will do whatever it takes, including backstabbing and circumventing the law. 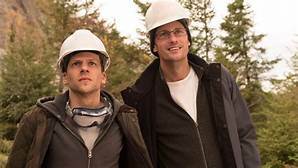 Jesse Eisenberg (The Social Network) and Alexander Skarsgard (True Blood) play the cousins, with Vincent (Eisenberg) being the leader and Anton (Skarsgard) being the brains behind the operation. Vincent schemes a plan to build a thousand mile long, four-inch wide tunnel from Kansas to New Jersey to give them a one-millisecond advantage on transactions on the New York Stock Exchange. Vincent and Anton find themselves an enemy in Eva Torres (Salma Hayek), their former employer, who is not only jilted by the pair leaving but painfully aware of the disadvantage her company will have if the cousins can get the tunnel built. Vincent is the ultimate schemer (which constantly hearkens back to Eisenberg’s portrayal of Mark Zuckerberg in The Social Network) and employs some shady business practices in order to achieve his goals. Directed and written by Academy Award Nominee Kim Nguyen (War Witch), the film plays out as a tragicomedy which draws you in, but its results at times are predictable. You know what the cousins want and why they want it and you know why Torres is opposed to it and why she attempts to build her own advantage. The dialogue is sharp and poignant and all of the acting is on point, which you would expect with the caliber of this cast, but the point of the film falls flat. One particular moment happens to Vincent to make you view him as a sympathetic character, but he wasn’t really a villain in the first place. He appears to be a villain because he is ambitious and wants to be in charge of his own future, not simply work for someone else. As he finds out the hard way, everyone is always working for someone. While Skarsgard shines in his role as the eccentric genius, it is almost too much of a caricature of the quirky genius. The film is worth a view if only for the acting and cinematography as it is clear that Nguyen has an incredible eye for filming landscapes. Certain scenes throughout the film follow the pipeline from Kansas to New Jersey and there are gorgeous scenic shots, especially when they are forced to put the tunnel through a national park. The film will not earn Nguyen a second Academy Award, but it will have fans, especially those in IT or those who work in the Stock Exchange. 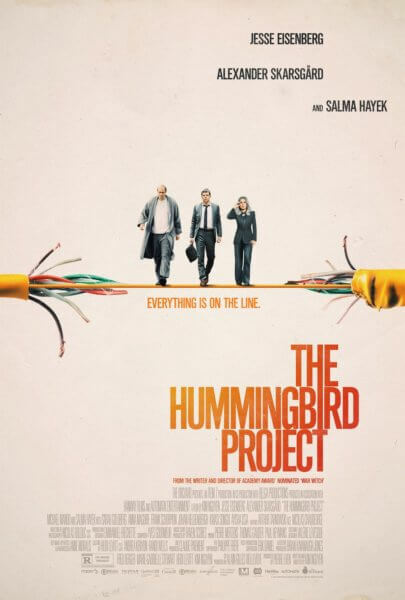 The Hummingbird Project is currently in very limited release.